In this set you get the absorbent parts of the New Generation Pop-in Nappy in bamboo fibre. 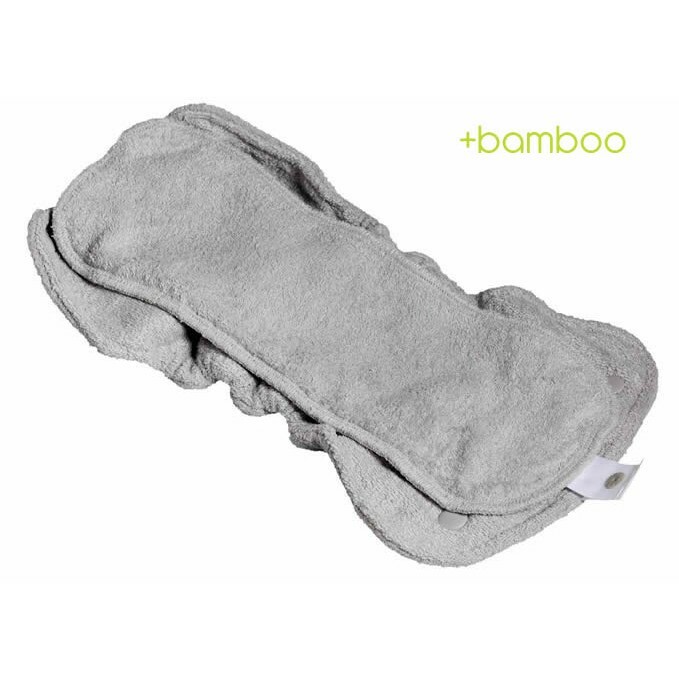 This includes the bottom soaker and top booster that you'll find in each pop-in +bamboo nappy. The two parts are held together by a popper attached to a piece of fabric which won't inhibit drying time so you can leave them stuck together for laundering. 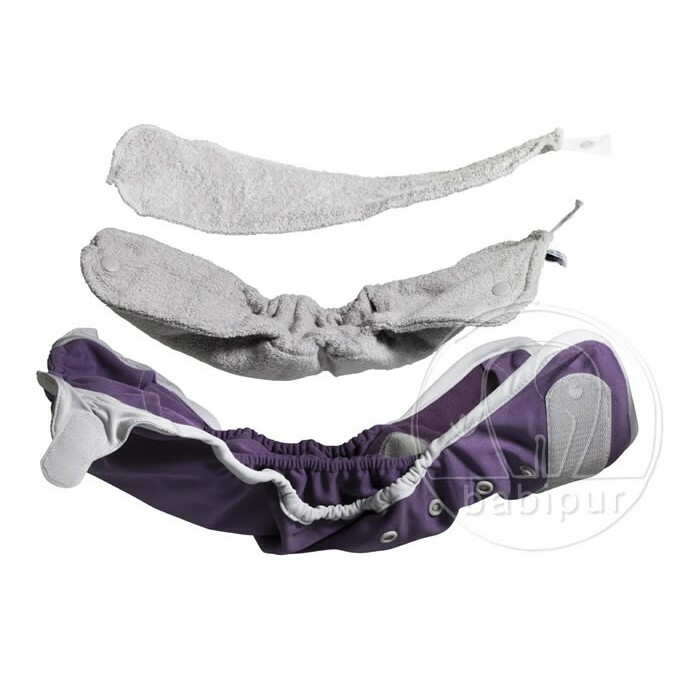 Two poppers at each are used to attach the soaker to the Pop-in nappy outer shell but you can also use this set with other waterproof covers.